Contour Cut stands for the precise cutting of mild steel. When cutting small con-tours, narrow bars and especially small holes with a diameter to thickness ratio of 1: 1 an outstanding cut quality is achieved. Smooth cut surfaces and sharp cut edges reduce time-consuming aftertreatment. Thus, productivity increases while costs are reduced. 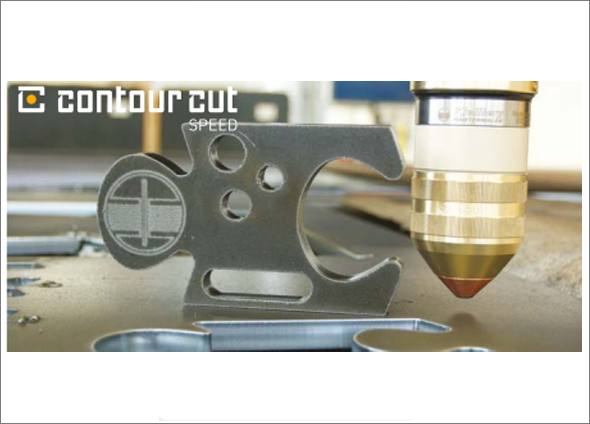 The technology enhancement Contour Cut Speed offers best cutting performance at highest cutting speed and with highest quality. It makes cutting faster by up to 50% at similar quality. 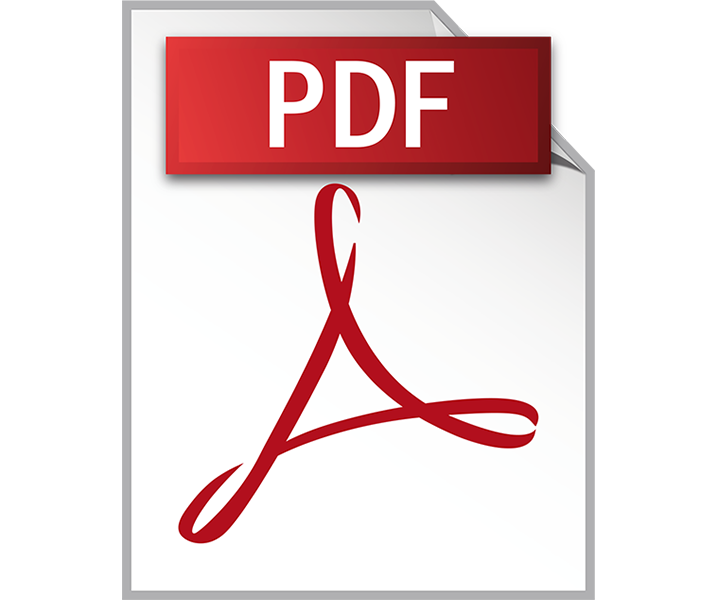 Due to the shorter processing time the costs per cutting metre are reduced. 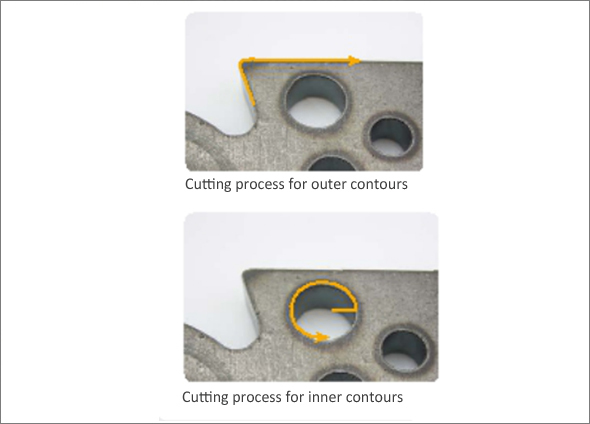 An essential requirement for the quality of cut surfaces is the proven design of the torch's cathode and nozzle. The liquid cooling of the plasma fine-jet torch guarantees longer consu - mable life. Plasma cutting with the systems in the PA-S series is more efficient by increasing the productivity of the user. For the cutting of mild steel with the PA -S45W, a swirl gas torch allows more frequent piercing.